Classic Bangle in 14K White Gold . 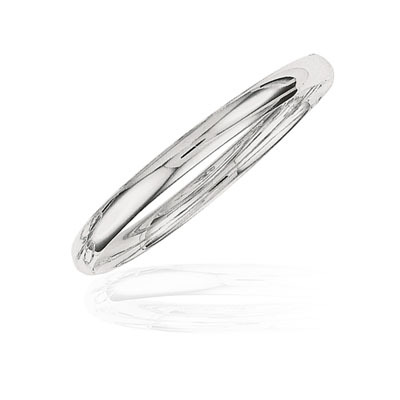 This luminous Classic Bangle is designed in 14K White Gold. Approximate Gold Weight: 7.00 Grams. The lustrous golden hues of the bangle create magic.